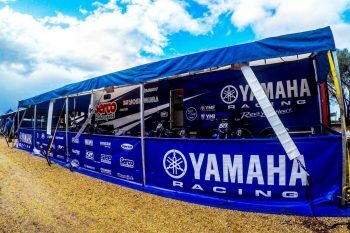 Armed with the 2019 YZ250F and with the biggest trophy cabinet in the MX2 category in Australia with numerous national motocross and supercross championship victories, Serco Yamaha will again be well placed entering the 2019 season with two experienced and dedicated riders determined to have their best season yet. Nathan Crawford returns to Serco Yamaha after an injury ravaged season in 2018. 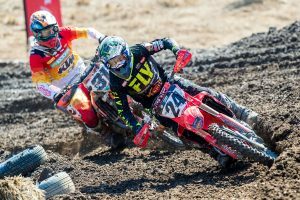 He was leading the MX2 division of the MX Nationals after three rounds, but a shoulder injury forced him to withdraw from the remainder of the championship as he recovered from the required surgery. Then on his return to riding, he injured his leg in supercross but is now well into his recovery and rehab and being one of the hardest working trainers and athletes in racing, there is little doubt Crawford will be fit and ready come round one, on March 17. “Being back with Serco is awesome as we had a great thing going in 2018 until I hurt my shoulder at Wonthaggi and had to withdraw from the series. I feel like I owe them one and at the moment, I’m doing all I can to be fit and ready when racing comes around,” Crawford explains. “I’m able to bare weight on my leg and start physio this week with a view to start riding again by late January. 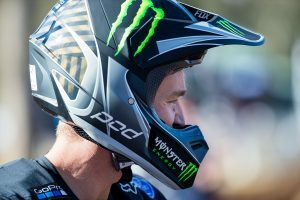 That still leaves me enough time to get myself bike fit and ready to go for the MX Nationals and I’m already looking forward to racing again,” Crawford said. Joining Crawford for the 2019 season will be the big improver in the 2018 season, Aaron Tanti. The New South Welshmen charged to an impressive third place finish in the MX Nationals, taking round and race wins along the way and also showed great speed in supercross that caught the eye of team boss, Gavin Eales. Tanti is no stranger to Yamaha, having raced a YZ250F in 2017 with the WBR Yamaha team and just after one day on the bike is already feeling at home and confident he now has the bike, the team and the support to elevate him to higher levels in the 2019 season. “Up until last year, I was juggling work with racing but for 2018 I was able to get myself in a position where I could ride and train full time and it instantly showed improvement in my results. The reward of the hard work and sacrifice came when Gavin approached me about racing for Serco in 2019. “I spent a day on the bike earlier this week and I’m impressed with everything about it. We just ran through some basic things like bar bends to get me comfortable, stiffened up the fork a little and I was good to go. The Yamaha YZ250F feels awesome and that is just the production bike, I can’t wait to ride the full- blown race bike Serco will build for me. “I’m proud to have achieved this ride with Serco Yamaha but I know the real work is about to come. But I will give it my all and aim to win as many races and championships as I can,” Tanti explains.